It wasn't particularly a good day for me yesterday after my body forced me to take a little rest, although I must admit I felt a little relief after pouring out my heart in yesterday's blogpost. This morning though, I received a delightful surprise that really made my day and had me buzzing after finding out that aere was featured in the papers again! Special thanks and mention goes out to my dear @kinayasnain who alerted me to the happy news when she tagged me in a picture of the Berita Harian article this morning. I went to get two copies at lunch time and naturally took a picture of the article and shared it on my IG straightaway. 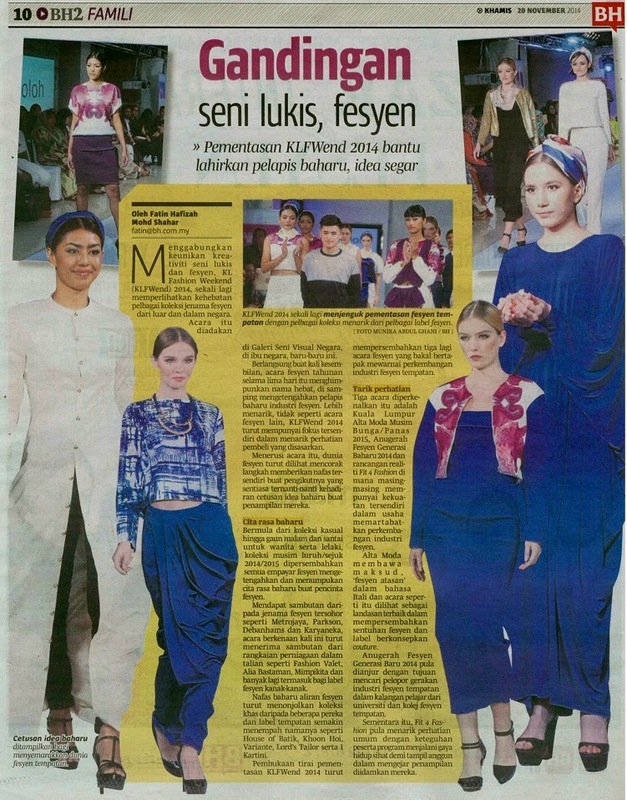 The write-up was regarding the KL Fashion Weekend event last week. I just didn't know how to contain my excitement to see all 7 pieces featured in the newspaper. Seven!!! I seriously felt like doing a little dance, but I guess my squeals were just as annoying to those who were around me. First, I did not even think that I would be showcasing aere on a runway so soon. Secondly, I'm still digesting the fact that our designs were chosen to be featured in the newspapers at our very first fashion show! It's just that recognition, however small it may seem to others, that makes it a huge achievement for me. So, thank you for choosing aere's pieces to be featured in your writeup, Ms Writer Fatin Hafizah. 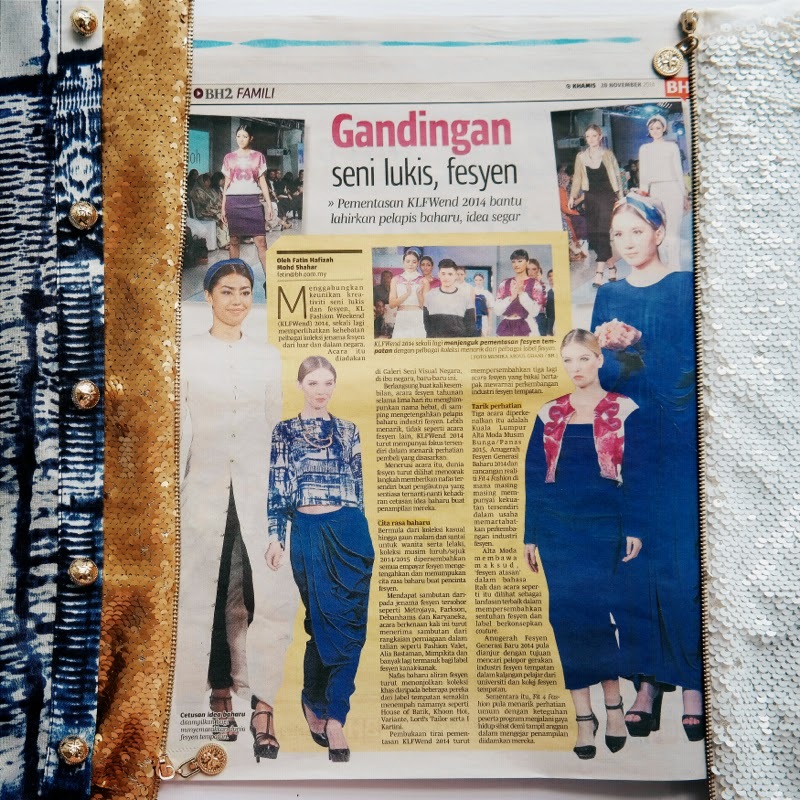 Actually this is the second time aere has been featured in Berita Harian in this past 1 month. 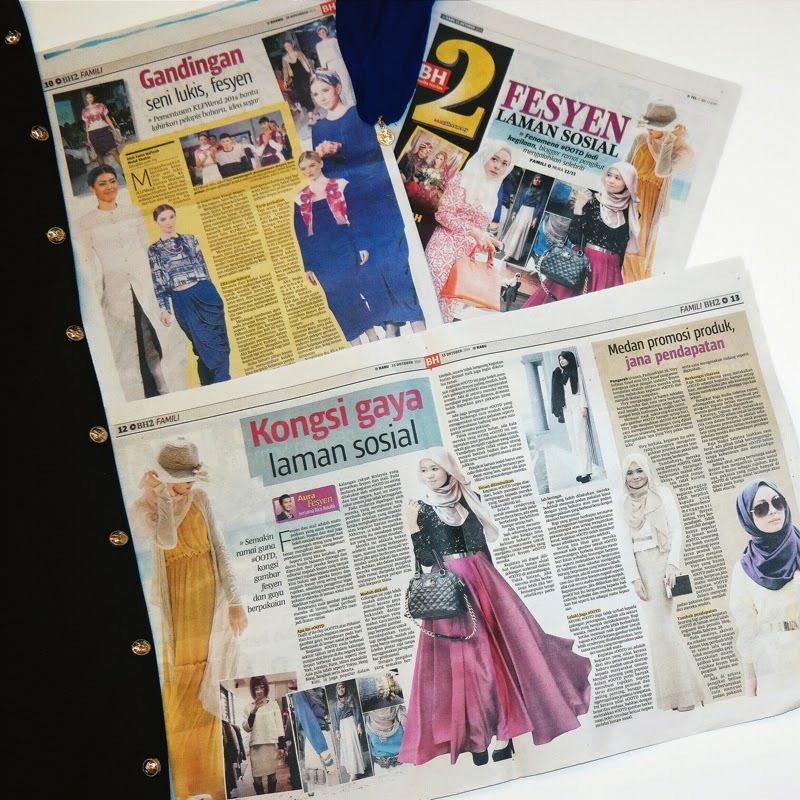 The first time was when Rico Rinaldi wrote in his column just a month ago about the culture of #ootd in his article and interviewed Vivy Yusof and myself. He chose to feature two of my aere #ootd shots among others. This follows the first feature on aere in the Sun Daily which I shared here in The Sun was Shining on Me Today post. I am so happy at the positive response in the media, and most importantly, the indescribable support from all of you on the first release of my first collection on the 28th October 2014. The response was so overwhelming that some designs were sold out already within days and now most of the designs are almost close to selling out just within the first two weeks of our first release online. Honestly, this is driving me even more to work harder and better for the next collections! Thanks so much for all the support which I really, really appreciate. You have no idea what it means to me :) Alhamdulillah.